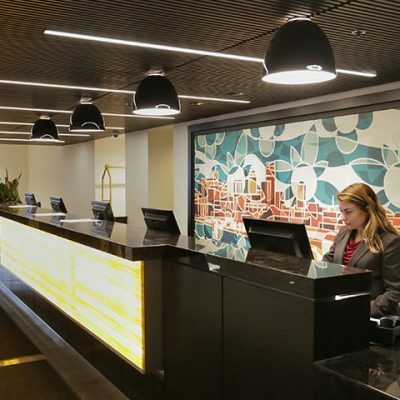 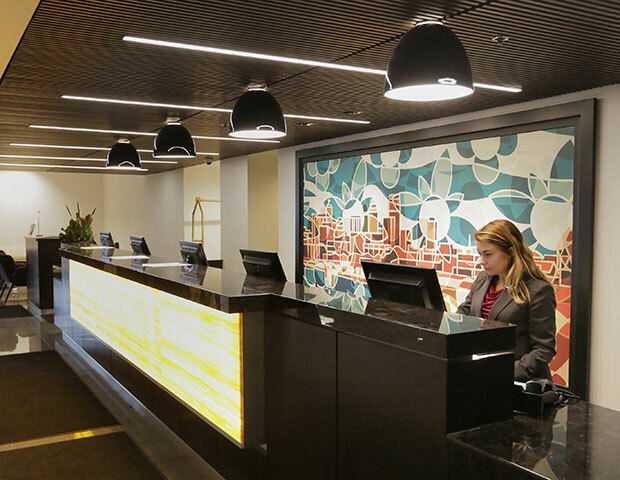 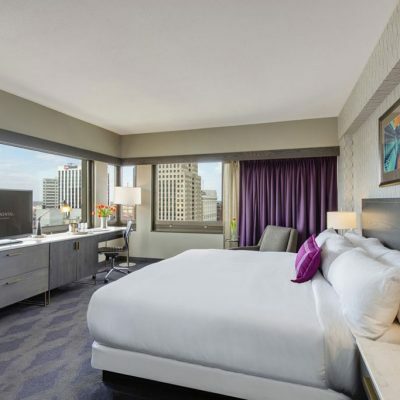 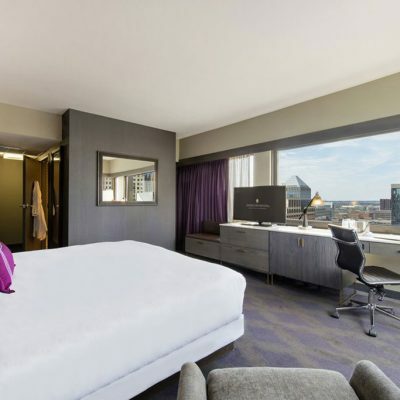 Saint Paul’s 24-story Crowne Plaza Hotel opened in 1966 and has charmed guests ever since. 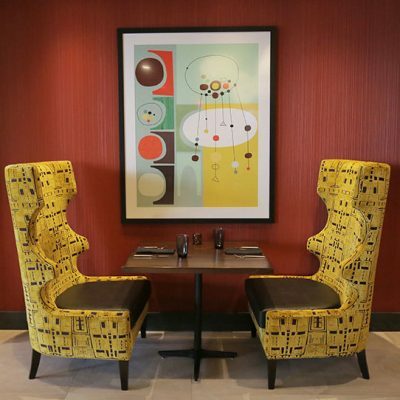 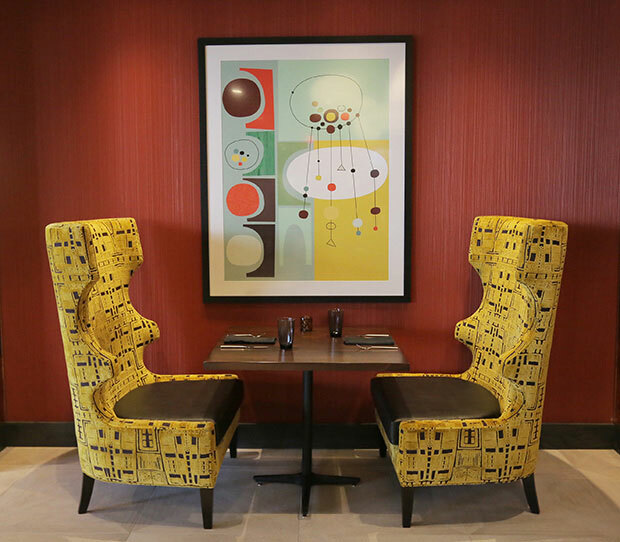 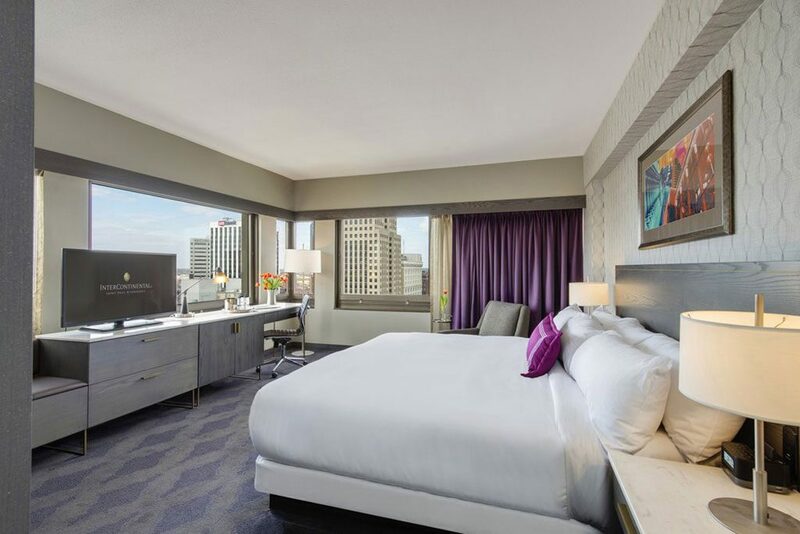 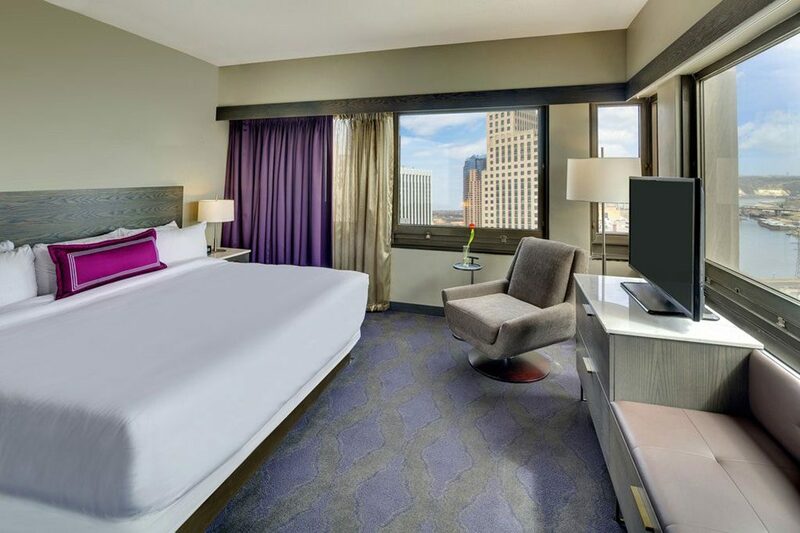 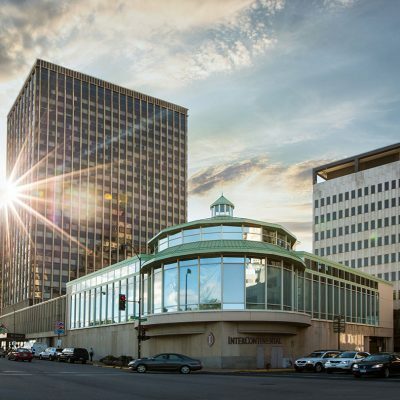 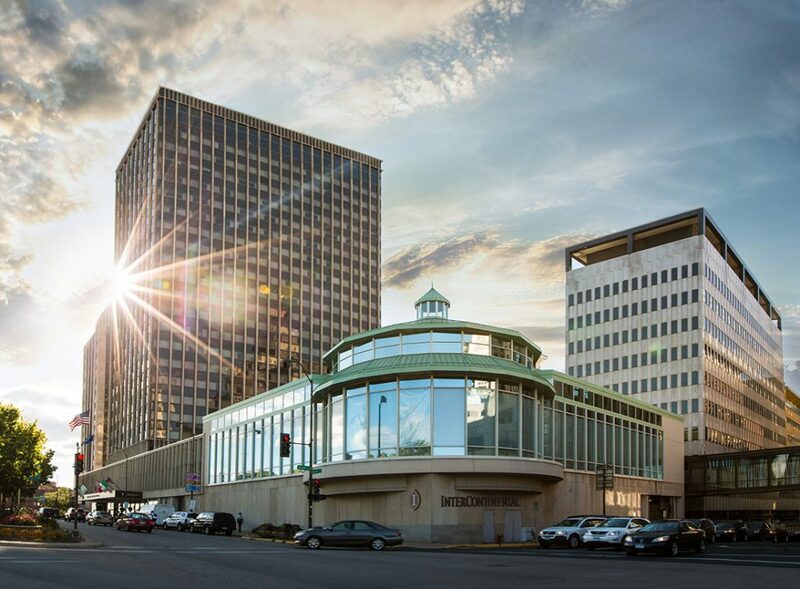 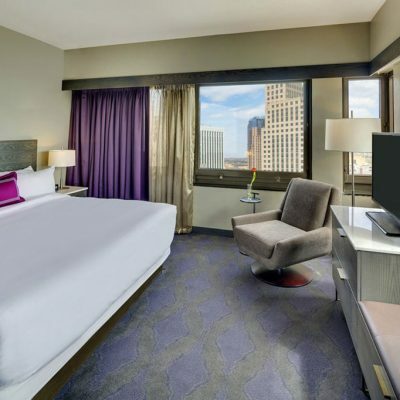 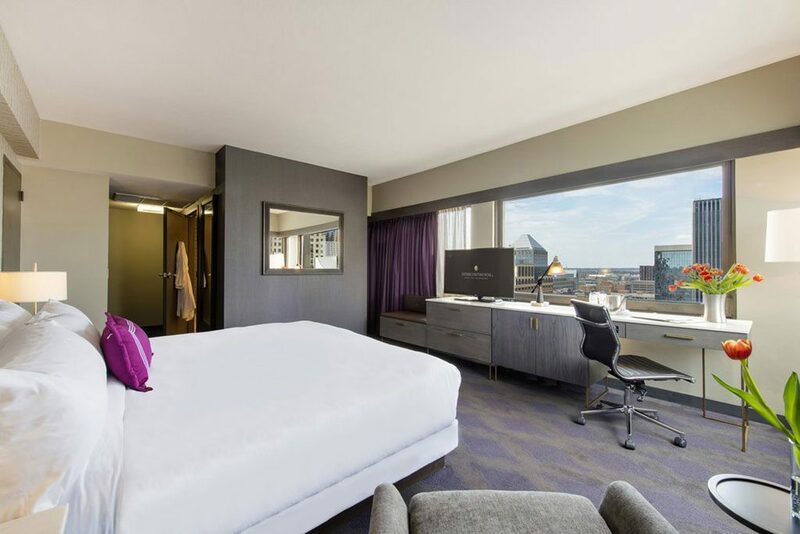 The original Crowne Plaza had a tired, outdated appearance that was updated with a new mid-century modern theme for the guest rooms, ballroom, and lobby. 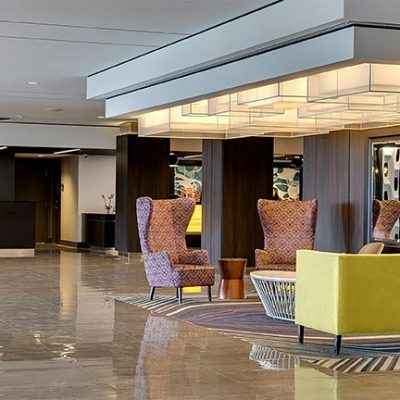 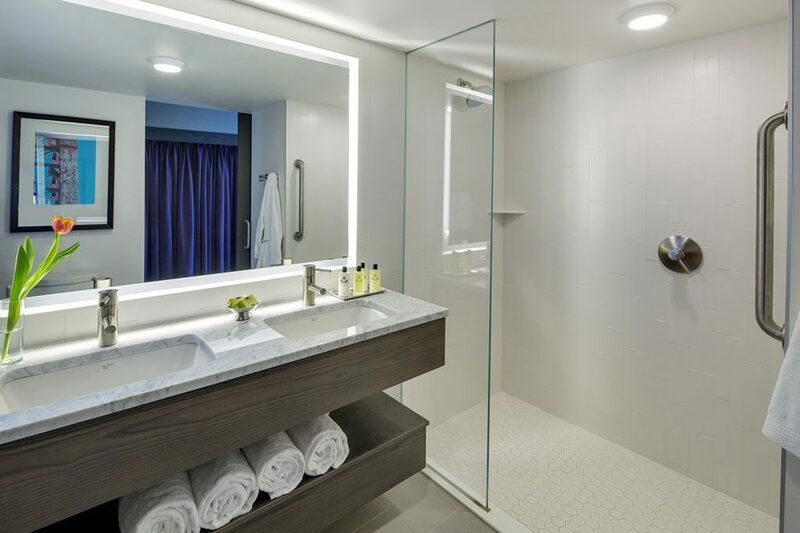 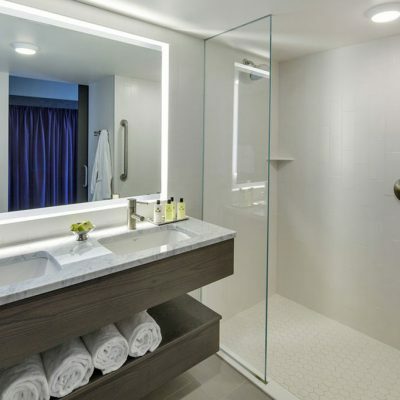 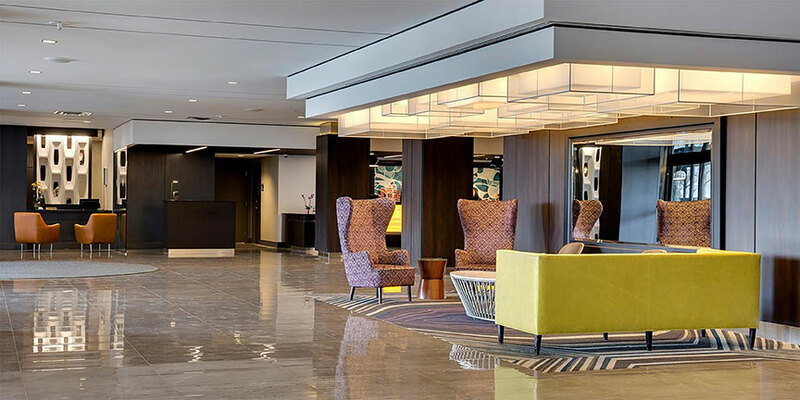 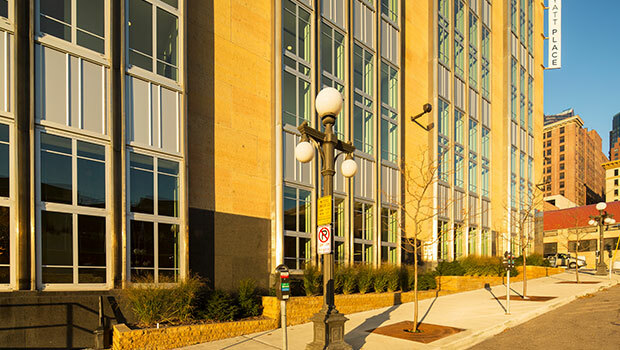 Levels three through 21 received new guest room finishes, new bathrooms and modernized public area finishes, including the elevator cabs, elevator lobby, and corridors. 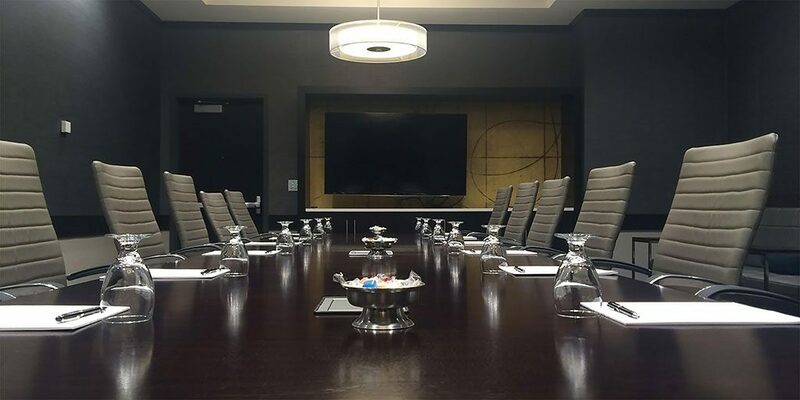 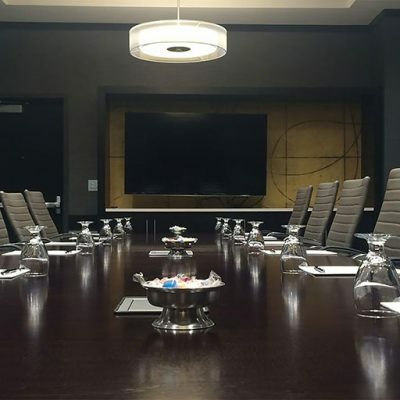 Level one received brand new hospitality suites and a new assembly space for large group seminars. 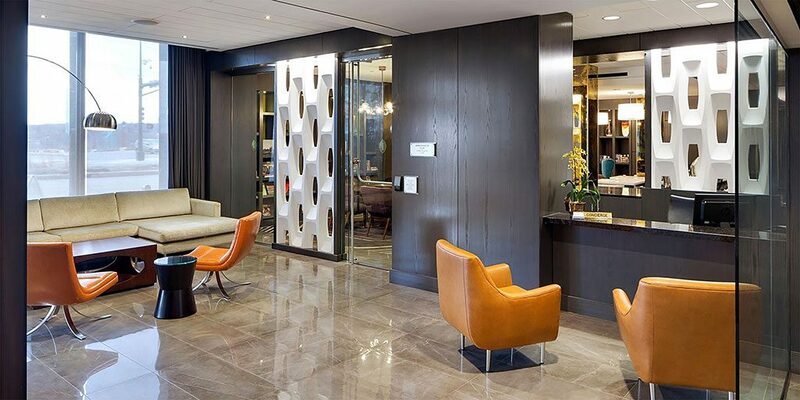 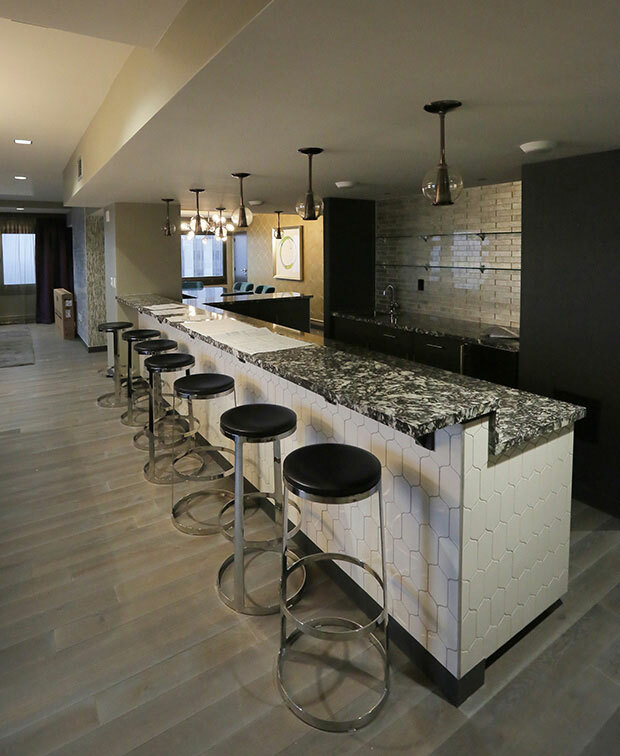 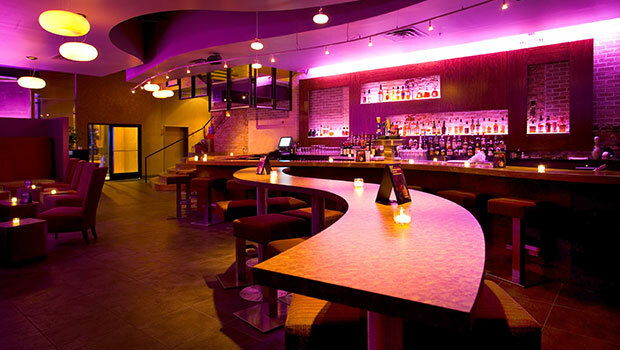 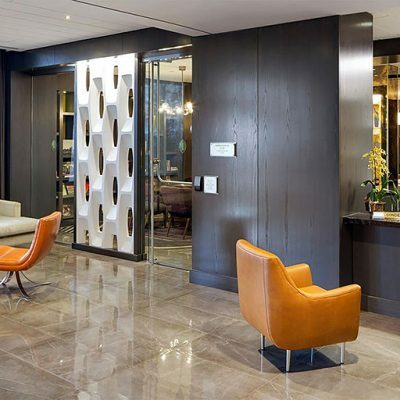 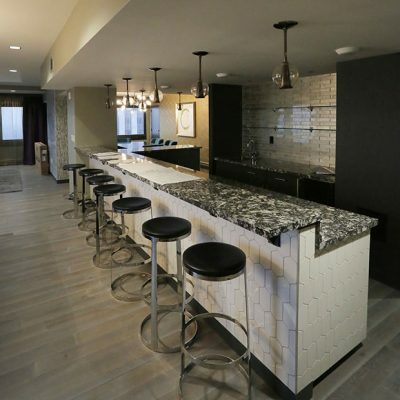 In addition to these guest spaces, BKV Group designed a fresh upscale restaurant and bar located on the lobby level.